By ‘symbols’ we mean the use of images, Widgit or Makaton symbol supported text, or actual objects to represent concepts or contextual realities. Symbols are very effective when you wish to enhance understanding and cognitive processing. 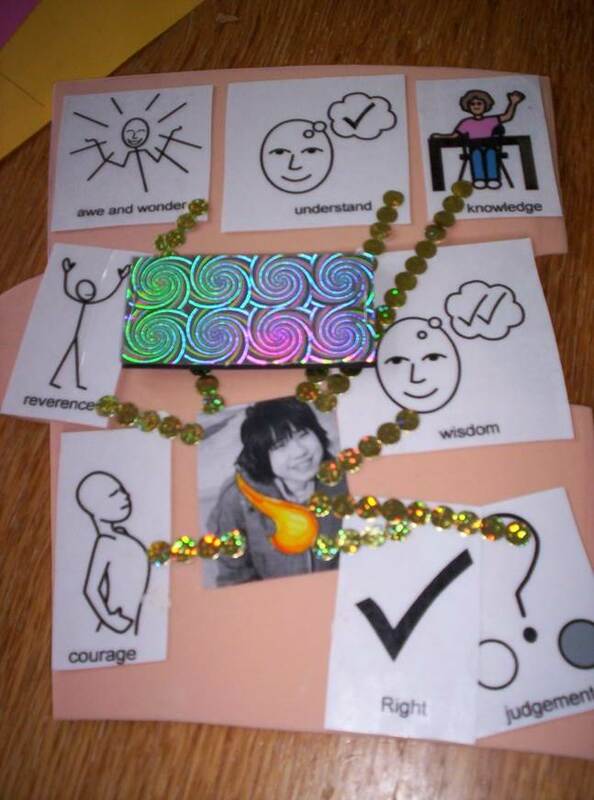 The symbol assists the reasoning process of a child or adult with a learning disability and helps them to have a tangible or visual connection to the spoken word. You can use real objects or graphics to help understanding. 1. Visual objects are always very useful for working with people of all abilities. Vibrant colours, candles, familiar objects, repetitive music that is not too challenging, materials of differing textures and colour, are all useful when planning to mediate information and differentiate activities. Associate Symbols with a sign, gesture or a written word. Match Symbol or picture to an actual photograph or action (i.e a visit to the supermarket). Match symbol to a real life object. Match symbol to spoken word. Link symbols with short simple sentences/phrases. Look for ways in which he/she can respond by pointing, signing, or using pointing sticks. Always look for the way in which you can recognise a yes/no answer and always acknowledge any movements. Try to answer, no matter how slight the movement may have been. Any movement, eye contact, acknowledgement is a sign that the person is communicating/ wishes to communicate with you. Why not book one of our training sessions to explore opportunities for using symbols and learning to communicate through sign?